KYBELLA® click for a consultation! Let’s face it, a double chin can make you look older and heavier no matter what your age or weight. And, in many cases, this type of fat doesn’t respond to lifestyle changes such as diet or exercise. Gone are days treating submental fat [double chins] with extensive and invasive cutting, or liposuction. 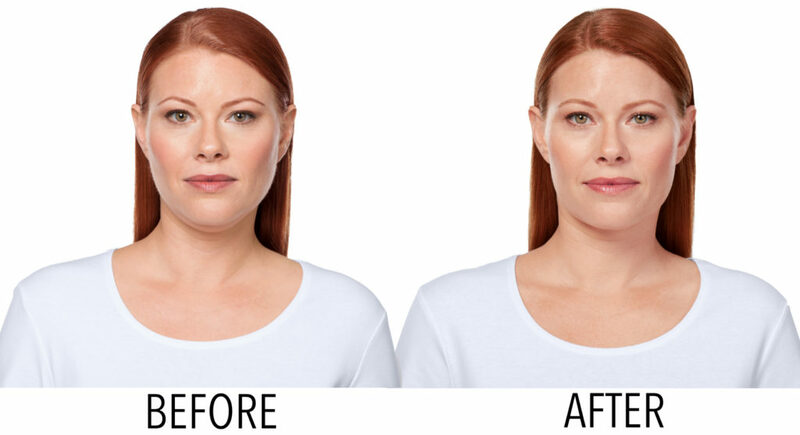 KYBELLA®, an exciting new injectable from Allergan–offered at MAINE LASER CLINIC–works to reduce and eradicate the stubborn submental fat responsible for double chins. KYBELLA® offers virtually pain-free treatment with minimal downtime and no need for anaesthesia. 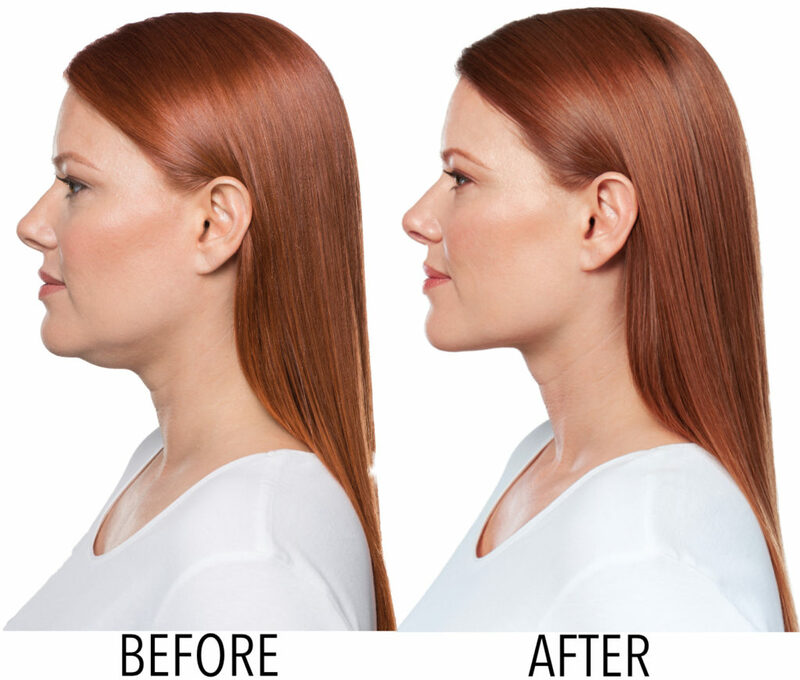 KYBELLA® results offer a beautifully contoured neck that is firm and supple with outstanding definition. KYBELLA® contains a naturally occurring molecule (deoxycholic acid) which breaks down fat cells (adipose tissue), leaving other healthy cells intact. Practitioners are able to contour the area without affecting surrounding tissue. KYBELLA® is a non invasive procedure with minimal side effects, so there are less risks when compared to surgery. Additionally, there is limited downtown and less pain sensitivity. Since Voluma is injected in the deeper part of the skin, it tends to be less painful during injection than other fillers because there are fewer nerves at that region. For the same reason, the patient is bound to experience little or no bruising because the injection is sent right under the blood vessels. Why is my skin so saggy? Saggy skin occurs as a result of aging. When we age, the tendons and ligaments that are responsible for holding fat pads in the skin will begin to expand and so the skin will drop. However, results have shown that Juvéderm Voluma XC can literally lift the face-up. Anatomically, this effective facelift process has proven to be very correct thereby actively correcting age-related volume loss in adults and helping them to regain their lost youthful profile. However, injectors are required to undergo special training before taking up the task of injecting patients with Voluma. You can feel confident that Maine Laser Clinic & Spa’s medical staff possess an understanding of such aesthetics which includes it effects on the structure of the bone and facial harmony and are highly experienced with the application of Voluma. At MAINE LASER CLINIC, KYBELLA® patients experience hassle-free, little downtime procedure and dramatic results. Increased self-esteem is a common benefit enjoyed by our KYBELLA® patients. People who have been self-conscious about their double chins their entire lives are finally free of that burden. They feel more attractive, happy, and confident. Our KYBELLA® results are definitely more than skin deep. Note: KYBELLA® is a new procedure, and it’s important to entrust your care to a knowledgeable KYBELLA® provider like MAINE LASER CLINIC. Our skilled Certified Nurse and Doctor are highly-trained professionals ready to administer your treatment in our comfortable and peaceful environment. Contact us today by calling 207.200.6530 to arrange an appointment with us.